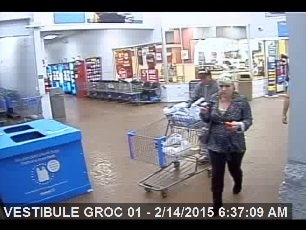 The Sheriff’s Office is asking for help in identifying three individuals that were involved in a suspected theft. 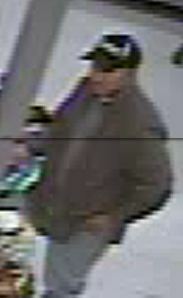 Stolen from a vehicle in El Dorado County was a credit card that was recently used in Roseville, CA. 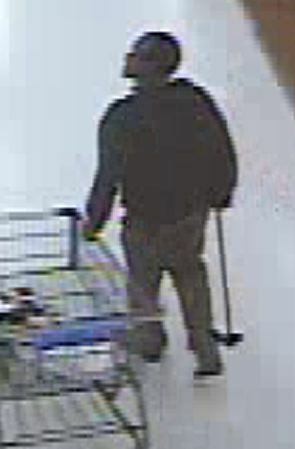 Below are surveillance photographs from Walmart of a white female adult who was using the stolen credit card, accompanied by a white male adult pushing the shopping cart and wearing a hat. 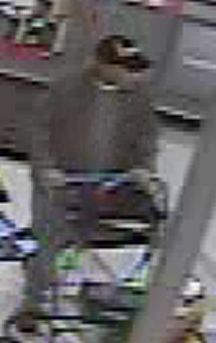 An African American male adult wearing a dark hoodie and possibly using a cane also attempted to use the same stolen card. 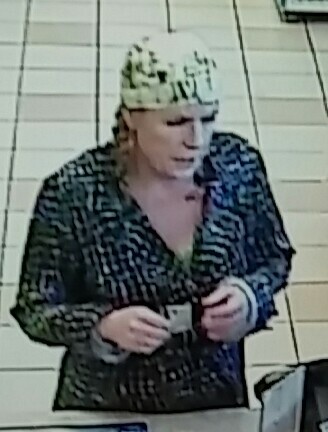 If anyone recognizes any of the persons involved or knows someone who does, please contact Detective Parker at the El Dorado County Sheriff’s Office Detective Bureau at (530) 642-4711 or leave us an anonymous crime tip at www.edso.org.